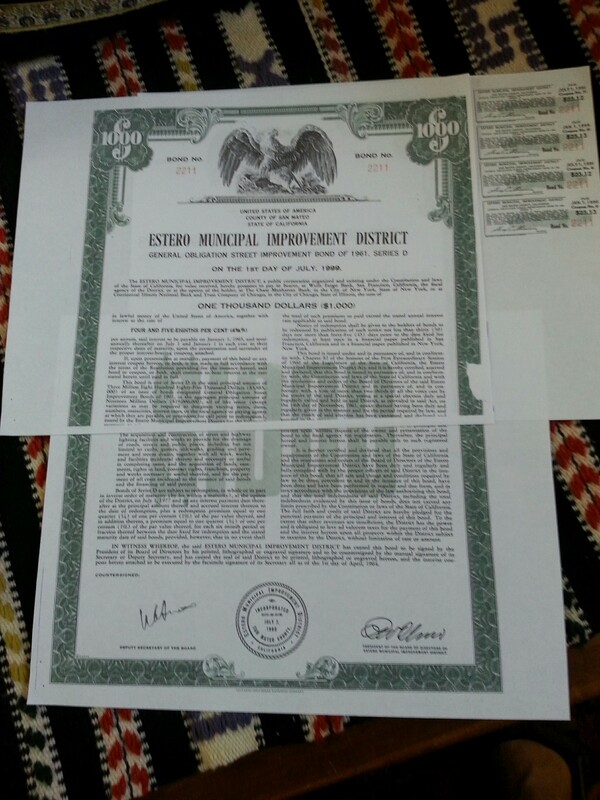 I was excited when I visited my mother’s safety deposit box with her in February, and found buried in the bottom a copy of an elaborately engraved coupon bond issued by the Estero Municipal Improvement District with a face value of $1000, a due date of July 1, 1999, and 4 unredeemed coupons still attached. With visions of compounding interest dancing in my head like sugarplums, I contacted the City of Foster City, which had issued the bond. After numerous letters and phone calls (the bond redemption had been managed by a bank which had merged with another bank which had sold the business to a third bank which had escheated the bond as unclaimed property to the state of California which had lost the record in their data base) my mother finally got her check for the exact face value of the bond and unredeemed coupons. (No sugarplums!) I figured I earned just below the minimum wage for my effort. Hope springs eternal. 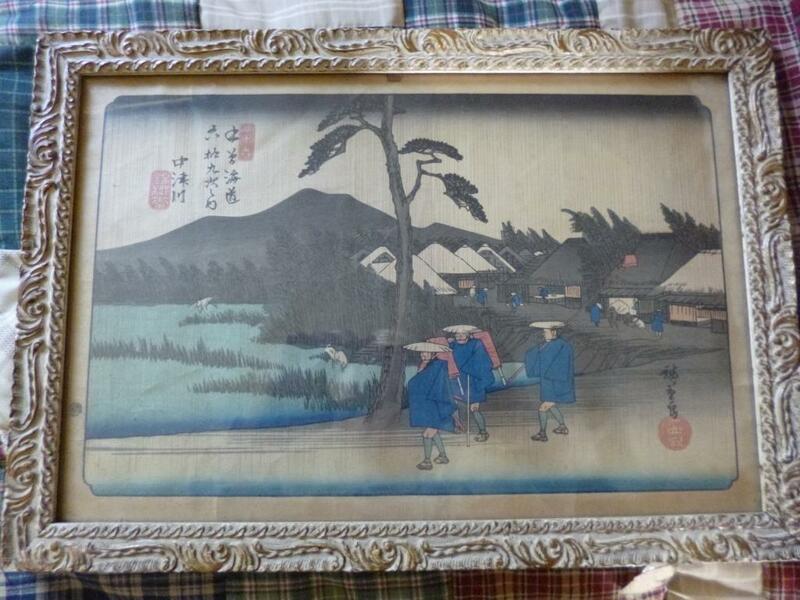 When clearing out my late mother-in-law’s house I saved several Japanese woodblock prints that she had framed inexpensively and hung in her bedroom. When I got them home I checked the internet. They might be valuable originals! 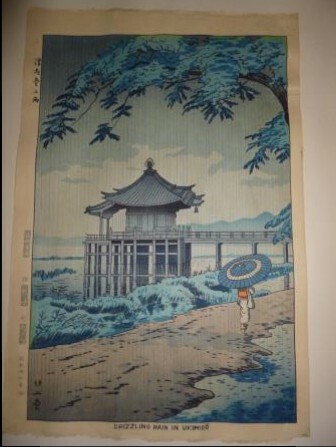 After all, she and her husband had spent some time in Japan in the early 60’s. But again, they might be calendar art. I missed the San Jose filming of “Antiques Roadshow” so the jury is still out. It’s almost more fun not knowing for sure. 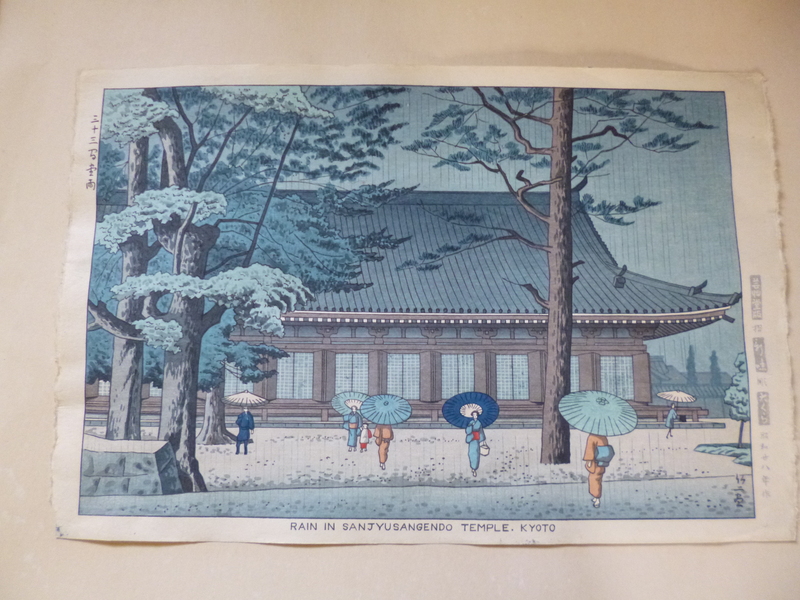 I love the Japanese woodblock prints–even if they end up being just calendar art.